The Sèvre & Belle brand was founded in 1893 and is a part of the la Coopérative Laitière de la Sèvre, along with the Echiré and Atelier de la Sèvre brands. This close-knit independent dairy cooperative is respectful of ancient expertises, still used today to make all of our high-end products quality. Since its creation in 1893, Sèvre & Belle dairy cooperative remained settled in Celles-sur Belle in a place known locally as “La Vée”. Before becoming a region known for its high-quality milk, the region in the south of Deux-Sèvres was mostly a wine-making area. It was only after the phylloxera blight of 1880 that this transformation took place. Indeed, because of the disease, many farmers from Deux-Sèvres to leave the area. It was actually the Vendéens who forged this new economy of milk production. Several years later, the Coopérative Laitière de la Sèvre took shape and created the Belle & Sèvre brand. With 65 cow milk and 55 goat milk partner producers, our close-knit cooperative collects all of our 100% non-GMO milk within a 30km radius. All of our producers are committed to produce 100% non-GMO milk, thanks to a 100% verified GMO-free and healthy food given to animals. The respect we demonstrate towards our animals is essential to guarantee quality of both our milk and our other products. This proximity allows us to keep our products fresh in order to ensure high quality standards. As our production site as Celles-sur-Belle is IFS certified, all of our products are guaranteed to be healthy. 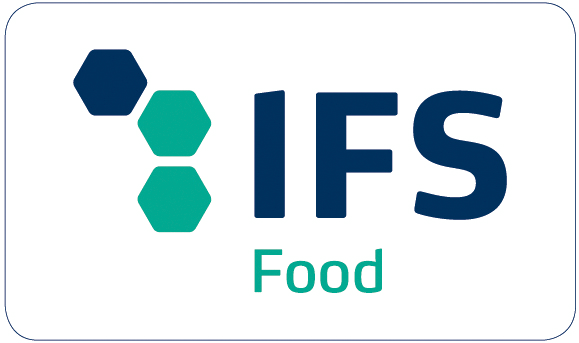 IFS certification was implemented in 2003 in order to ensure foodstuffs security and to monitor product quality. This certification guarantees the security and quality of products for consumers. It is also submissive to community regulations related to hygiene. IFS certification was implemented in 2015 in Celles-sur-Belle. 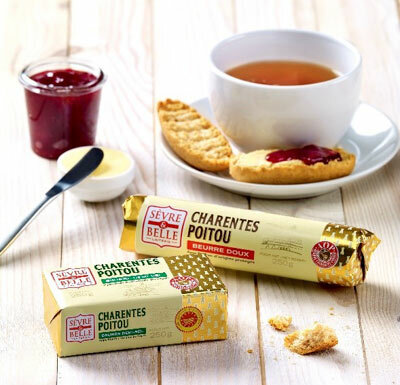 The label certifies our AOP Charentes- Poitou unsalted and slightly-salted butter in bar and roll production, the manufacture of pasteurized cream packaged in plastic baskets and the manufacture of pasteurised & raw milk cheese. Our AOP Charentes-Poitou is exclusively produced using milk or cream from our 65 partners located within a 30km radius of our butter factory. Thanks to the cream’s slow biological maturing phase which is unique to AOP Charentes-Poitou butter, it asserts its own personality. Our Sèvre & Belle AOP has the distinction of possessing a light and soft texture which makes it perfect for puff pastry. Its natural qualities and unique flavour make it the king of pastries for over 120 years. 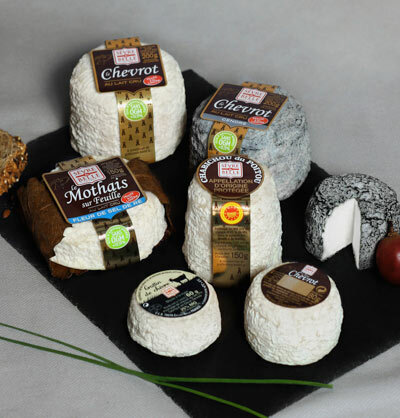 Our entire range of cheeses is produced in Celles-sur-Belle in Deux-Sèvres with our guaranteed GMO-free milk being collected every 48 hours from our 55 partners, all located within a 30km radius of our dairy. 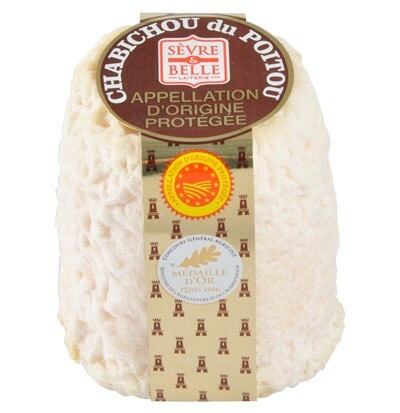 Our Chabichou du Poitou AOP is a raw milk goat cheese whose shape is due to a piece of wood used to close wine barrels in years gone by. According to legend, its name dates back to the 8th Century when the Sarrasins were defeated after the Battle of Poitiers. When some of them settled in the region with their goat flocks, they produced a cheese called Cheblis (goat in Arabic) and this would later become Chabichou. 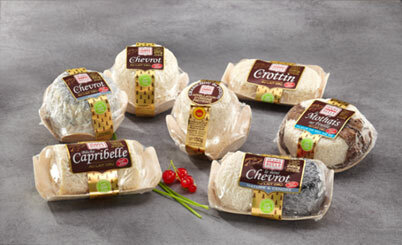 This raw goat milk cheese has inherited the AOP status since 1990. We are proud of our Chabichou du Poitou AOP which often wins awards at both local and national competitions. Putting humans at the heart of our organisation: we aim to ensure the durability of our farmers’ work and to strengthen the local economy. The value of expertise: by passing down the experience that they have passionately gained, our master butter and cheese makers…to bring flavour to life. Quality over quantity: from collecting the milk to the ladle-moulding process, our traditional production methods will ever respect IFS Certification standards.